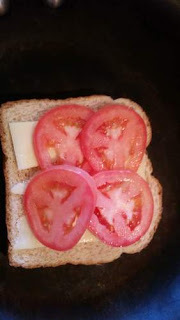 _________Wendy Mac Designs___: Let's Talk Cheese...Grilled Cheese that is! 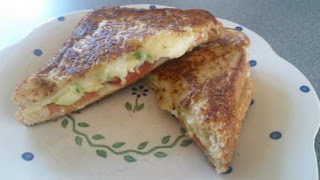 Let's Talk Cheese...Grilled Cheese that is! 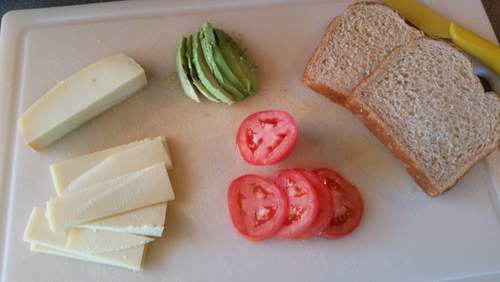 So, cheese is probably one of my favorite foods, although my favorite would probably be salads. But, that doesn't really count since technically a salad is multiple foods. So, a few weekends ago, I was grabbing dinner at Kroger with my girls. They wanted chicken, etc. 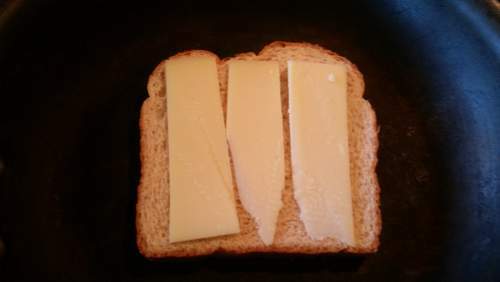 (as all kids would), but I decided I'd pick myself up some Gruyere and try to make a grilled cheese sandwich with it for myself. 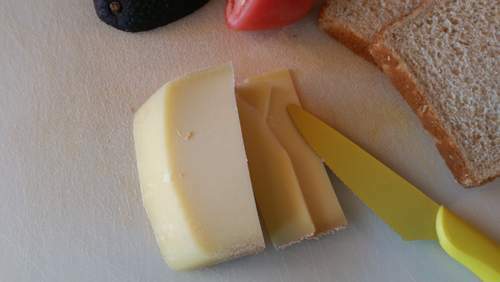 Start by slicing the Gruyere super thin. 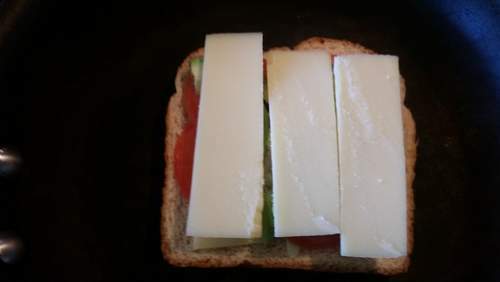 I was planning on two layers of cheese (1 on each side of the bread, so I wanted it really really thin). 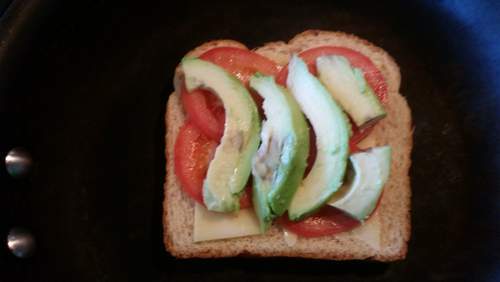 Slice the avocado and tomato as well. It's best to have everything prepped before starting. While I was cutting, I already had my pan warming on the stove. I find it works best if the pan warms for ~5~10 minutes, this keeps the bread from sticking. The next few steps have to be done quick because you will need to be ready to flip the sandwich soon in order to avoid it burning. 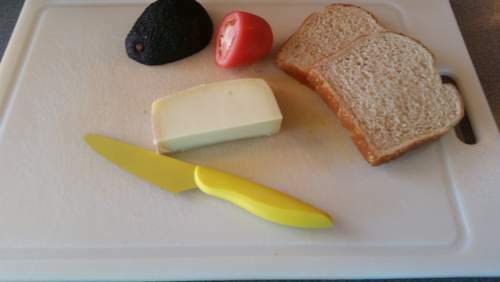 I buttered one side of both pieces of bread before starting, then just built the sandwich in the pan. 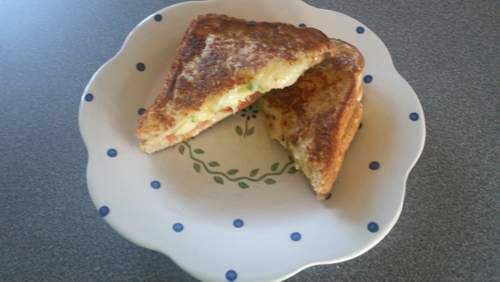 And ta-da...a delicious grilled cheese!